Our 4th Annual Carnival will be held May 16-19,2019. We will have Carnival Rides, a Mega Flea Market, Bake Sale, Horse Rides, and live entertainment. This year we are scheduling popular Hampton Roads bands on both Friday and Saturday nights The Deloreans and Buckshot. Please join us for a weekend of fun and fellowship with parishioners and the Little Neck community! Tickets are $17 for one single day all-you-can-ride wristband and $30 for a two-day wristband. Be sure to bring your receipt and your ID to the Will-Call area near the Main Ticket Booth. You will be given a non-transferable wristband that is good for unlimited use on all the carnival rides for one day (or two days if you purchased the two-day ticket). The games and food are sold separately. Height or weight restrictions may apply on some of the rides. Tickets are non-refundable. A wristband is not required to enter carnival grounds. The Main Ticket Booth will sell individual tickets is one wishes to ride specific rides. Purchase tickets HERE! If you are interested in volunteering, you can sign up HERE. Are You Interested in Sponsoring This Year’s Carnival? 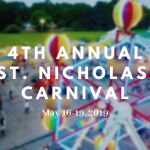 We are excited to bring the 4th Annual St. Nicholas Carnival to the parish and Little Neck community again this May. We would love for you to consider sponsoring this year’s event. Last year we drew in thousands from across the city during this four-day event — which is the largest annual community event in this area. Our Carnival Sponsors are the ones who help make all of this possible. -Pastoral Care to local Nursing Homes and Sentara Rehab Centers. We serve local Catholics who are not members but are in need of Anointing of the Sick, a Funeral Mass, or Graveside Service. -Charitable support throughout the City of Virginia Beach in the form of Crisis Assistance (utilities and food); preparing the meal and serving the homeless at monthly JCOC suppers; supplying over one hundred Thanksgiving Baskets for the needy; an Appalachia Clothing Drive; and our Winter Shelter for the homeless. 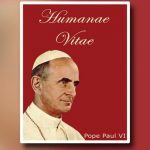 -Support throughout the state of Virginia, and into the East Coast, in the form of aid to: Migrant communities, Appalachia, and Catholic Heart Work Camp. -One of the largest Senior Support groups in Virginia Beach, the Just Seniors. This group is comprised of over two hundred members from throughout the city. Through monthly luncheons, planned social outings, and pastoral care to members in need, they succeed in serving widows and seniors throughout the stages of their retirement years. -Carnival outreach to area families. Last year parishioners donated over two hundred free Carnival tickets to needy families from four elementary schools in our community, as well as a night of free entertainment by one of the most popular bands in the region, The Deloreans. Click here to access this year’s Sponsorship Flyer 2019. Please share with your friends, family, or anyone who you think might be interested. There are several sponsorship levels with opportunities for everyone to participate. Come be a part of the fun in Little Neck! Sponsorship Forms can be submitted to the St. Nicholas parish office or emailed to stnicholas@stnicholasvb.com. Thank you for your support! Please keep us in mind during spring cleaning! St. Nicholas will be holding our annual flea market at the Carnival in May. We could use your unwanted furniture, housewares, toys, books, sporting goods, etc. We are now accepting donations in the Social Hall. Call Peggy Rose or Janet McCarraher for large items or with any questions. Thank you!